Fourth- and fifth-graders and families at Clermont’s Pine Ridge Elementary School saw a big problem with the lack of sidewalks for the students living within the two-mile “walk zone” of school. And they presented the solution to policy makers and community stakeholders at the Lake-Sumter Metropolitan Planning Organization’s “Sidewalk Summit” last month. The half-day gathering was a collaborative, community centric approach in cultivating a greater conversation regarding sources and uses of funding for additional sidewalk infrastructure and “Safe Routes To School” improvements within Lake County. A total of 105 projects have been identified in Lake County. So what were the students’ findings? Well, the students presented survey data of students impacted, cost estimates, and health/environmental impacts. 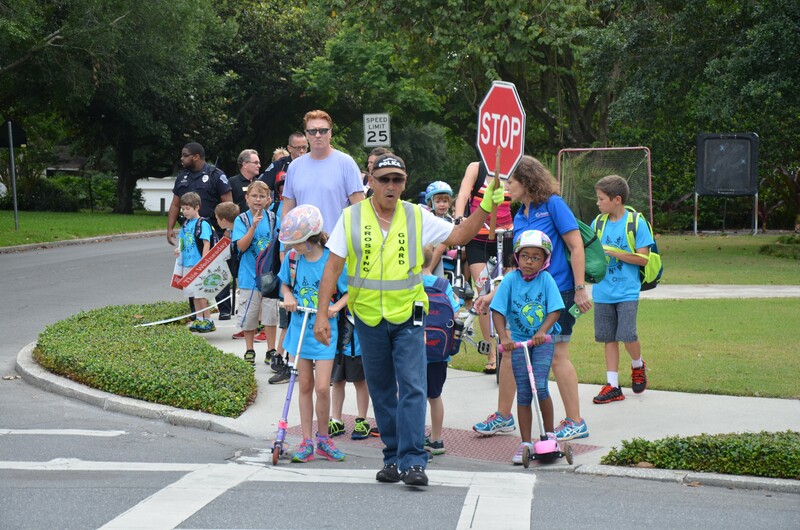 Students encouraged decision makers to begin to address the challenges students face without safe access and accommodation in walking and bicycling to school. Kudos to the students for their fine work. And for the summit’s other speakers, including Bike/Walk Central Florida Board Member Jamie Krzeminski, who represented HDR; Mike Woods, representing Lake-Sumter MPO; and Sean Parks and Shannon Hidalgo representing Bike/Walk Central Florida.